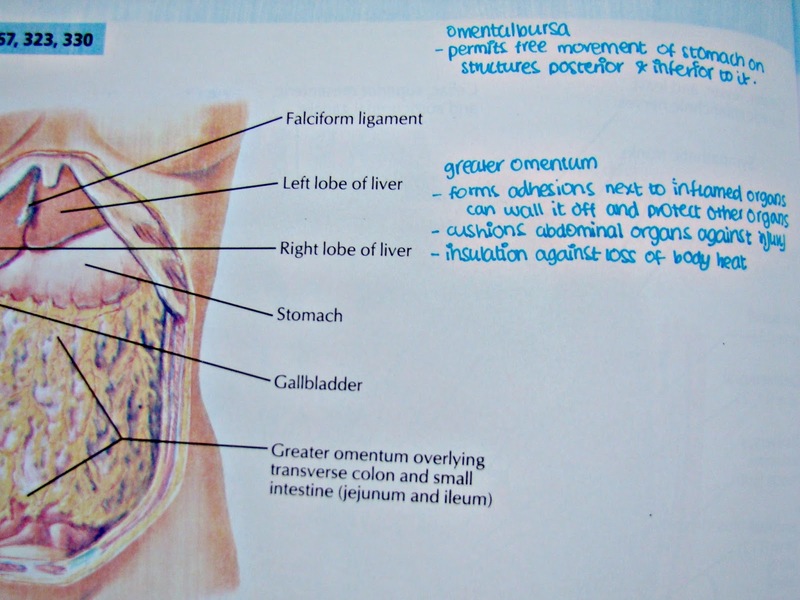 One of the most obvious subjects when it comes to med school must be anatomy. To the average person, it’s the first subject that comes to mind, with pictures of dead bodies and dissections and bones and a Renaissance painting of students mulling over textbooks with a cranium in hand. While it’s certainly dramatic and does have some truth in it, it’s not exactly the case. Yes, we do study a lot of anatomy, but there are plenty of other subjects as well that are just as important as physiology and biochemistry. The main reason why people seem fixated on anatomy though is probably due to the fact that anatomy is something the average person sees. For them, medicine is all about the human body and they probably don’t know that medicine involves a great deal more than just knowing about bones and muscles. It’s also not surprising that students who enter med school also come in with high expectations regarding studying anatomy. I remember my class being very disappointed on learning that we wouldn’t be dissecting anything and that dissection wasn’t even that important in learning anatomy either. It’s okay to not know how to study. The important thing is to not give up and to keep trying out new styles. Don’t be harsh on yourself while you’re adjusting. Yes, being harsh could get you to work harder, but save that study technique for when you can actually work hard and efficiently. The study methods I’ve outlined here will not be the perfect or only way to study anatomy, and it also may or may not work out for you! Glad we cleared this out! Now here’s the big question: how can you study anatomy? Anatomy is a subject that involves a lot of description. There are descriptions of the locations of organs, their insides, their outsides, their neighbors, their blood supply, their nerve supply, their lymphatics drainage, their supports and maybe even their development as well as their microstructure. 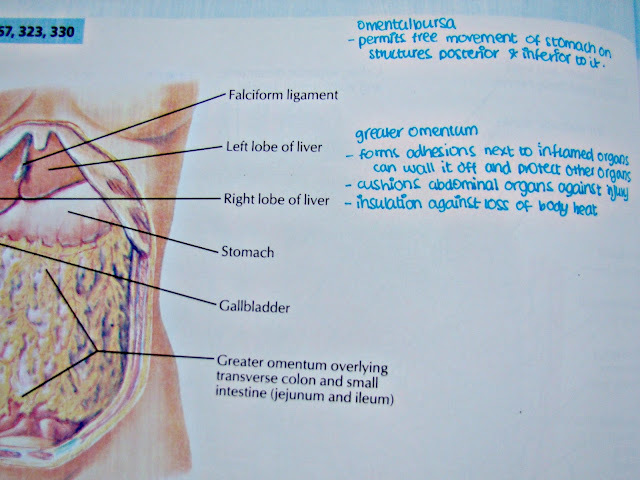 What I noticed about anatomy is that it needs constant revision. There’s so much material to remember, it may seem trivial and confusing, but it’s all really important. Here are 10 things you should focus on when you’re studying anatomy. 1. Skim through the chapter first. Don’t start studying from the first sentence, just go through the text and familiarize yourself with what’s written. How much of this have you already studied? How much of this makes absolutely no sense? Skimming through the chapter will give you an overview of everything and it’ll help keep you focused. If you start studying from the very sentence, you’ll just end up tiring yourself out! 2. Always keep an atlas open. It’s good to have a picture to help guide you through the long pages of text, whether it’s the muscles of the limbs, the organs in the abdomen or the arteries around the heart. 3. When studying about a specific organ, always focus on it’s relations. What’s behind it? What’s in front of it? What’s beside it? Check it out on the atlas! 4. Similarly, it’s important to know about a structure’s blood supply, nerve supply, veinous drainage and lymphatic drainage. 5. When studying about arterial supply, it can be really helpful to draw out an arterial map, starting from the aorta, all the way to the structures that your are reading about! The same can be done for veins. 6. Always go through the clinical conditions thoroughly. It would be a good idea to write them down in your atlas so you can go through it quickly to remind yourself. 7. In fact, write a bunch of quick facts (after you’re done studying everything!) in your atlas next to what you’ve finished studying. I try to compact as much information as I can on my atlas so that when the time for the test comes, all I need is the pictures and the information scribbled next to it to remember all the important things! 8. Study developmental anatomy with gross anatomy. Sometimes, studying about development can help make things easier, like nerve supply and blood supply! 9. The same can be said for histology! 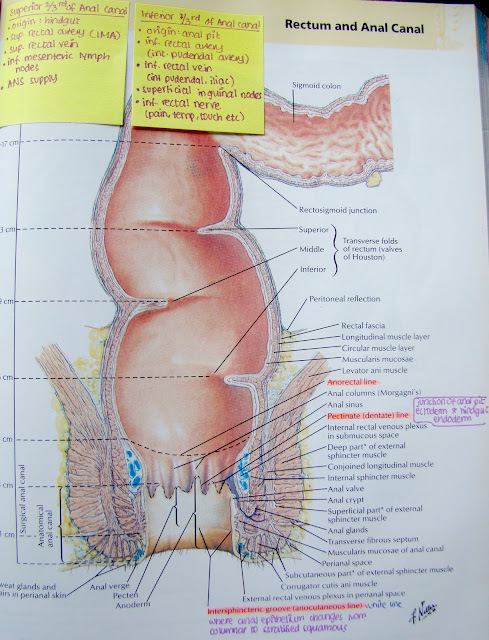 Studying histology will help you understand the organ on a microscopic level and this can also really help you out when it comes to studying physiology too! 10. Go through the chapter over and over, whenever you get time! It’s easy to forget what you’ve studied, but by going through it again and again, you can consolidate it in your memory! Consider drawing anatomy out on yourself as well! So these were ten little tips to help you study anatomy 🙂 It’s a great subject to study and it’s satisfying to know everything, especially if you can see it on yourself, like the muscles in your limbs or the bones in your hands and feet. I hope these tips help you in your quest for conquering anatomy! Have a nice day! PS. Remember that post about the complete guide to studying microbiology? I mentioned that I would be sharing the typed PDFs of my notes and that’s exactly what I’m planning on doing! I’m going to be emailing out the PDFs so if you haven’t subscribed to my email list, now is the time! Ohhh these tips are incredibly fun and useful 🙂 really showed me a different way of tackling a difficult subject!